During the school year holiday breaks, we offer weekly Music and Art Camps for children to explore music and art, as well as String Camp for children studying an instrument for at least one semester. During the summer, we also offer Chamber Music Camp and All-Day String Camp. Children may attend one or more weeks of camp, with discounted tuition for siblings. How do I know which camp is the best match for my child? If your child plays the violin, cello, or viola and has had at least one semester of private lessons, they are invited to attend one of our String Camps. Our string camps are designed to motivate and inspire kids outside of the structure of their regular lessons and classes. Students make friends with other budding instrumentalists, further their technique and musicianship, and participate in community-building and art activities to enhance their understanding and love of music. For intermediate string, piano, and flute students who are reading music, Chamber Music Camp offers a unique experience for young musicians. Repertoire is carefully selected to both challenge and inspire students. The week encourages cooperation and teamwork, and highlights personal responsibility as a member of an ensemble. Our week culminates with an informal performance and/or a neighborhood outreach performance. 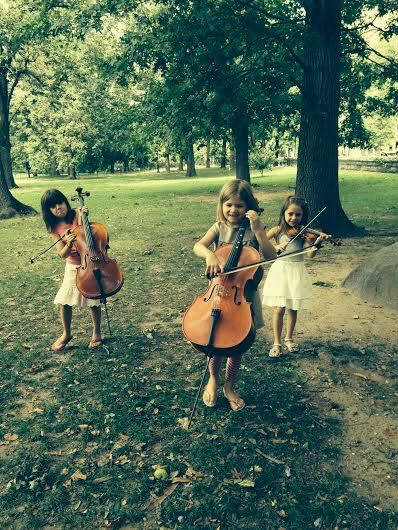 For dedicated string students ages 8-12, we offer a Full Day String Camp that includes ensemble playing, individual practice time, classes in improvisation, music history, and music theory, as well as free time in the park and musical field trips. Students should be at a playing level between mid-Book 2 and mid-Book 5 of the Suzuki repertoire. (Non-Suzuki students are also welcome, please email to inquire about level). String Jam Camp is a full-day camp open to string-players ages 7 and up who are interested in improvisation, jamming in different styles, and learning how to read actual written out arrangements of contemporary and popular music. This camp is ideal for advanced-beginners and up. 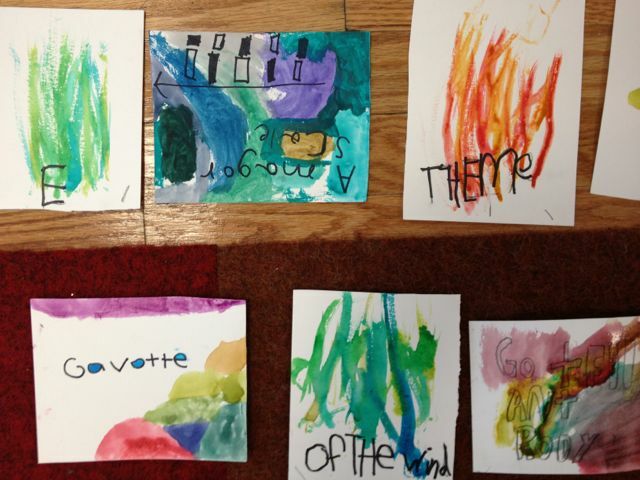 Music and Art Camp is for students ages 3-7. Kids of all levels and backgrounds are welcome! Students are exposed to violin, cello, and piano, as well as percussion and orff instruments. 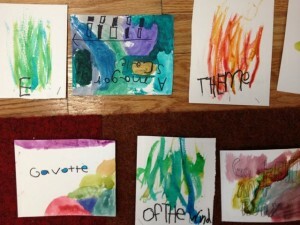 Students also create art projects related to music or around one central theme (past examples include: “Animals”, “Outerspace”, “Wind”, “Water”, etc.). This camp is designed for children to be creative and explore the intersection of music and art in a relaxed and supportive environment. Do I need to stay during the camp? No, all camps are drop-off. If your child is feeling nervous on his/her first day of camp, you are welcome stay until they feel comfortable. Yes, all of our camps are offered at a discounted price if you register early. Siblings also receive a 10% discount.